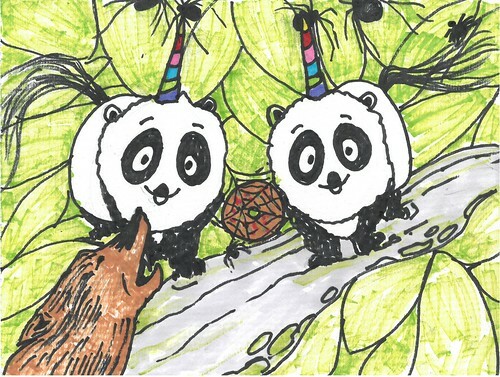 Unipanda and Pandi used bamboo sticks to get the spiders off the doughnut, but this did not work. So they used their unicorn horns to get the doughnut. Unipanda and Pandi were able to get the donut! They went through the forest to get home but they ended up lost. 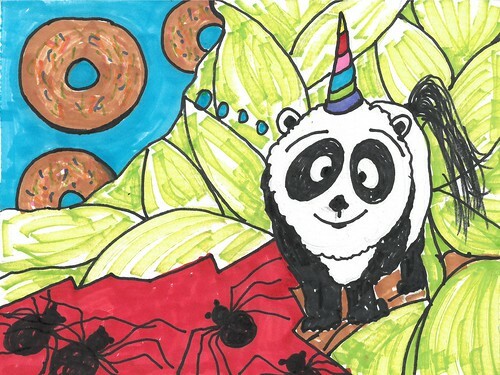 Unipanda and Pandi came across a wolf who wanted to be friends with the doughnut.